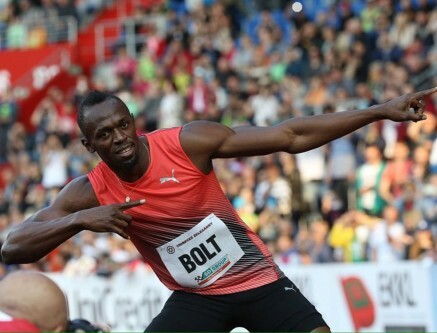 20th May 2016 – Usain Bolt (JAM) went under 10 seconds for the first time in 2016 as he took his eighth victory at the IAAF World Challenge meeting in Ostrava. Despite the win, such are the high standards that Usain sets himself he was a little disappointed with his race feeling that the “first 40 metres was a bit sluggish”. Rhys Williams (GBR) made a promising start to his season taking fifth place in the 400m hurdles but running under 50 seconds (clocking 49.85) all while running from lane 1. Tom Lancashire (GBR) also gave a gutsy display in the 1500m taking ninth place in 3:39.95. At the World Challenge meeting in Beijing two days earlier Hellen Obiri (KEN) went one better than her race in Shanghai and won the 1500m. Taking control of the race with a lap to run no one was able to pass Hellen and she strode away in 4:02.11. Nancy Chepkwemoi (KEN) was sixth in 4:05.89. Michael Rimmer (GBR) also improved on his race from Shanghai by taking third place in the 800m here running 1:46.72. Making his debut at a Great City Games event World Indoor Champion Trayvon Bromell (USA) finished second over 100m in 10.14. The innovative format which sees athletes race on a specially constructed track down a public street in Manchester, England was held on a Friday night for the first time. At the Hoka One One Middle Distance Classic in Los Angeles Laura Roesler (USA) continued her fine form in 2016 with another victory over 800m. Laura won a competitive race in 2:00.15 moving closer to the 2 minute barrier again. Shannon Rowbury (USA) used the meeting as a competitive training session running the 800m and 1500m double placing ninth and fourth in each.